Likely the inspirational version was Little Richard’s. "Kansas City" in the encores. Kansas City" is included in the "Detroit Medley". Set includes a super long version of "Kansas City", which was wonderful and seemed unrehearsed. It was so spontaneous that he went to Clarence Clemons for a solo, and Clarence struggled to get something going. Then Bruce had to tell the sound guy to turn up Clarence so we could hear him. Bruce was cracking up as Clarence struggled to get through a solo with his baritone sax. On the next solo break, Bruce called for Steven Van Zandt, and it took two or three notes before the sound guy got Steve above the mix. This version of "Kansas City" included the band walking off the stage singing the "bye bye" refrain while Roy Bittan was left at the piano. Roy just stayed there by himself for a good five minutes. I wondered if Roy was going to end the song and walk off. Finally, Bruce and band snuck up stage right behind Roy and they resumed. Jon Landau had a guitar when the band came back on stage, and he joined Bruce at the microphone for a verse. Landau didn't sing. Also sounchecked: Tour debut "Kansas City," opens the show. A private 37th birthday party for Clarence Clemons, with Springsteen and the entire E Street Band (except for Steve Van Zandt) attending . With most of the E Street Band and members of Cats On A Smooth Surface. Jon Bon Jovi guests on "Kansas City". The "Kick Up Your Paws" benefit for the Monmouth County SPCA, hosted by Max and Becky Weinberg. Springsteen joined The Max Weinberg 7 at the end of their set. About 500 people were in attendance for the fundraiser, at the Weinberg's farm. "Terry Magovern was involved in this event, too, and he was looking forward to it," Max told the Asbury Park Press, "so it's dedicated to him." "Kansas City" is a rhythm and blues song written by Jerry Leiber and Mike Stoller in 1952. First recorded by Little Willie Littlefield the same year. "Kansas City" became one of Leiber and Stoller's "most recorded tunes, with more than three hundred versions," with several appearing in the R&B and pop record charts. 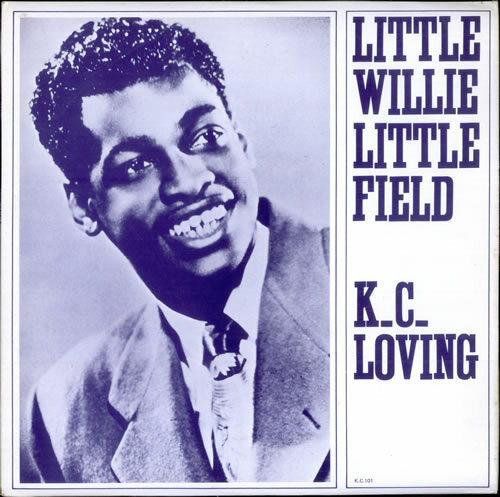 The original title for the song was "k c loving". Likely the inspirational version was Little Richard’s ( 1955 ). He recorded two rather different versions of "Kansas City": The first version, which was very close to the original song, was released much later, in November 1970, on the compilation album Well Alright!. This version was the first to bear the new title "Kansas City" (after Littlefield's original version titled "K.C. Loving"). Richard's second version which had the same name, but which had been substantially re-worked by Little Richard (in particular, this version featured the new refrain starting with words "Hey, hey, hey, hey; Hey baby, hey child, hey now") was released in late 1958. on The Fabulous Little Richard and in April 1959 as a single. Later, this particular version was covered by the Beatles.On May 9, 1956, Little Richard recorded his own song "Hey-Hey-Hey-Hey", also known as "Hey-Hey-Hey-Hey! (Goin' Back to Birmingham)". which turned out to be very similar to a part of the second version of "Kansas City" recorded six months earlier (and which had the same refrain as mentioned above). So a new song had been introduced — it included most of the changes made by Little Richard to the second version of "Kansas City" and had a new name and new writer, Richard Wayne Penniman (Little Richard himself). This song was released in January 1958 as the B-side of "Good Golly, Miss Molly" (Specialty 624) and in July 1958 on Little Richard. So it happened that the public perceived the song "Hey-Hey-Hey-Hey" (released in January 1958) as an earlier work than "Kansas City" (released in late 1958/March 1959) and as its predecessor (while in fact it was actually the other way around). This allowed Little Richard to claim co-authorship with respect to this version of the song. In 1964, when The Beatles released their album featuring their version "Kansas City" as performed by Little Richard (naturally, the second version, as the first one was not yet released at that time), the attorneys representing Venice Music made a complaint, and as a result the record label was revised to read: "Medley: (a) Kansas City (Leiber/Stoller) (P)1964 Macmelodies Ltd./KPM; (b) Hey, Hey, Hey, Hey (Penniman) Venice Mus. Ltd. (P)1964." Formally, however, this song could hardly be called a medley, as by definition a medley is a piece composed from parts of existing pieces. Moreover, when Little Richard was recording "Kansas City", the song "Hey-Hey-Hey-Hey" did not yet exist. And I'm gonna get me one …Pd.